English -- I put this webpage together to show the service folder, service videos, slide show, pictures, and the text of the readings 1 Corinthian 13, Ode to Mothers, and Tribute. Once things quite down I will contact you personally. Nederlands -- Ik heb deze web pagina gemaakt om de verschillende dingen van de rouwdienst te laten zien: rouwkaart, rouwdienst video, foto's, and de tekst van de lezingen 1 Corinthiërs 13, Ode aan Moeders en Eerbetoon. Zodra het wat rustiger wordt zal ik ieder persoonlijk schrijven met een kopie van de rouwkaart in Engels en Nederlands. English -- Click on an picture for a larger image. Nederlands -- Klik op een plaatje voor een groter beeld. 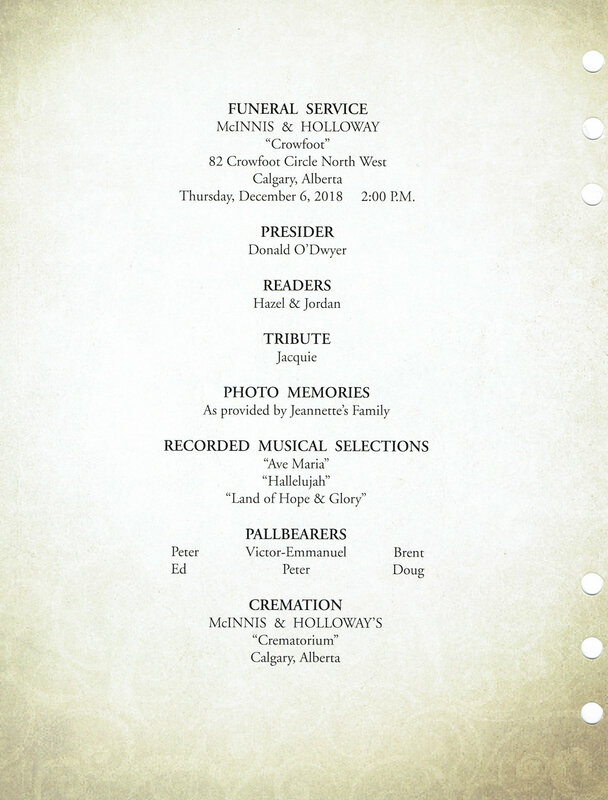 Funeral Service -- Recording of the Funeral Service in three parts. Click on the recording for a full screen viewing. Part 1 and 3 have a slight problem that the audio is not always perfectly synchronized with the video. Rouwdienst -- Opname van de Rouwdienst in drie delen. Klik op de opname voor een vol scherm. Deel 1 en 3 hebben een probleemje dat het geluid niet altijd perfect gesynchroniseerd is met de video. Al ware het, dat ik met de tongen der mensen en der engelen sprak, maar had de liefde niet, ik ware schallende koper of een rinkelende cimbaal. Al ware het, dat ik profetische gaven had, en alle geheimenisse en alles, wat te weten is, wist, en al het geloof had, zodat ik bergen verzette, maar had de liefde niet, ik had niets. Al ware het, dat ik al wat ik heb tot spijs uitdeelde, en al ware het, dat ik mijn lichaam gaf om te worden verbrand, maar had d liefde niet, het baatte mij niets. De liefde is lankmoedig, de kiefde is goedertieren, zij is niet afgunstig, de liefde praalt niet, zij is niet opgeblazen, zij kwetst niemands gevoel, zij zoekt zichzelf niet, zij wordt niet verbitterd, zij rekent het kwade niet toe. De liefde vergaat nimmermeer; maar profetieën, zij zullen afgedaan hebben; tongen, zij zullen verstommen; kennis, zij zal afgedaan hebben. Want onvolkomen is ons kennen en onvolkomen ons profeteren. Doch, als het volmaakte komt, zal het onvolkomene afgedaan hebben. Toen ik een kind was, sprak ik als een kind, voelde ik als een kind, overlegde ik als een kind. Nu ik een man ben geworden, heb ik afgelegd wat kinderlijk was. Want nu zien wij nog door een spiegel, in raadselen, doch straks van aangezicht tot aangezicht. A mother is more than a memory. She's a living presence. Your mother is always with you. She's the whisper of the leaves as you walk down the street, the smell of certain foods you remember, flowers you pick and perfume that she wore. She's your breath in the air on a cold winter day. She's the sound of the rain that lulls you in sleep, the colours of the rainbow. Your mother lies inside your laughter and she's crystallized in every teardrop. A mother shows every emotion... happiness, sadness, fear, jealousy, love, hate, anger, helplessness, excitement, joy, sorrow and all the while, hoping and praying you will only know the good feelings in life. She's the place you came from, your first home, and she's the map you follow with every step you take. She's your first love, your first friend, even your first enemy, but nothing on earth can separate you. Not time... not space... not even death. Een moeder is meer dan een herinnering. Ze is een levende aanwezigheid. Je moeder is altijd bij je. Ze is het ruisen van de bladeren terwijl je over straat loopt, de geur van het eten dat je je herinnert, de bloemen die je plukt en de parfum dat ze droeg. Ze is de koele hand op je voorhoofd als je je niet goed voelt. Ze is je adem in de lucht op een koude winterdag. Ze is het geluid van de regen die je in slaap wiegt, de kleuren van de regenboog. Je moeder is in je lach en ze is uitgekristalliseerd in iedere traan. Een moeder toont elke emotie ... geluk, verdriet, angst, jaloezie, liefde, haat, woede, hulpeloosheid, opwinding, vreugde, verdriet en al die tijd, hopen en bidden, dat je alleen de goede gevoelens in het leven zult kennen. Ze is de plek waar je vandaan kwam, je eerste huis en ze is de kaart die je volgt bij elke stap die je zet. Ze is je eerste liefde, je eerste vriend, zelfs je eerste vijand, maar niets op aarde kan je scheiden. Niet tijd ... niet ruimte ... zelfs niet de dood. At Pieter's request, I am presenting this tribute to Jeannette. This is Pieter's story to tell, so it will be in the first person. In March 1962, during my electrical engineering studies, I was working as a Co-op student underground in a coal mine, in Hoensbroek in the southern province of Limburg Holland. I wanted to celebrate Carnival, a holiday mainly celebrated in that region, so the couple I was staying with took me to their community centre. On that first night of Carnival, I was introduced to Jeannette. A young lady sitting on the edge of the stage, her legs dangling over it. She had beautiful brown eyes and spoke softly with a devious smile. She was dressed up as Cleopatra with a shiny gold dress, costume jewellery, a black pageboy style wig and a cobra coiled around her head with its head looking at me. Jeannette wanted to dance, but I was green as grass and didn't know how. I wanted to offer her a drink, but as a student, I had barely enough money for one. Jeannette's uncle heard about me, the visiting Dutch cheese head from the North, and wanted to make sure his niece was safe. He spoke to me using a Limburg's dialect and I only understood about 10 % of what he was saying. Apparently he liked me, because he handed me a hand full of drink coupons. I drank beer and Jeannette a Spanish wine. She taught me some basic dance steps, and we drank some more. Talking with her was so easy and the time passed by too quickly. While talking, her hands moving all the while, she knocked my glass over and cold beer soaked my crotch! On the second and third nights of Carnival, Jeannette dressed this time as a Native Indian in a brown tunic with bead work, a band around her head with a large feather sticking out the back, and that same black pageboy wig. At the end of the last evening I boldly asked if I could see her again, and Jeannette said yes. There began our wonderful romance. One day Jeannette, who was suppose to give all her earnings to her mother, decided instead to buy herself a new pair of pretty shoes. Jeannette's mother kicked her out of the house for that, so Jeannette went to live with her aunt and uncle, cleaning their house and cooking in exchange for room and board. On my next visit with Jeannette, she opened the door and I could hardly contain my excitement. There before me stood a gorgeous girl, no wig, but a new perm. Jeannette took me up to her room where we chatted and I learned a lot about this amazing girl. When she was young, Jeannette played with a rag doll made from left over cut offs, while her friend's all had real dolls to play with. This fuelled her desire to collect dolls later in life. Jeannette attended elementary school and then the equivalent of home economics school, where she was educated in running a household. In those days, ordinary girls were not supposed to get educated. She also proudly showed me her swim diploma. It was then that I, at the age of 18, realized I was dating a girl 3 years and 3 months older than me. Easter came and Jeannette took her first train ride on her own, some 200 kms to the North of Holland to meet my parents. I saw Jeannette at the end of the train platform, but she did not react when I motioned towards her. That's when I discovered she was blind in her left eye. Jeannette also had lost her two front teeth one day, while riding down hill on her brother's bike. Even with one blind eye and a partial denture, she was gorgeous! Jeannette's mom and dad took good care of their seven kids because her dad had a good job as a master coal mine worker. However, hugging and kissing their children was not their style. When I introduced Jeannette to my mom and dad, she got hugs and kisses from my parents as if they had already known her for years. For me that was normal, but the expression on Jeannette's face was priceless. After that moment, Jeannette loved my parent, and the feeling was mutual. 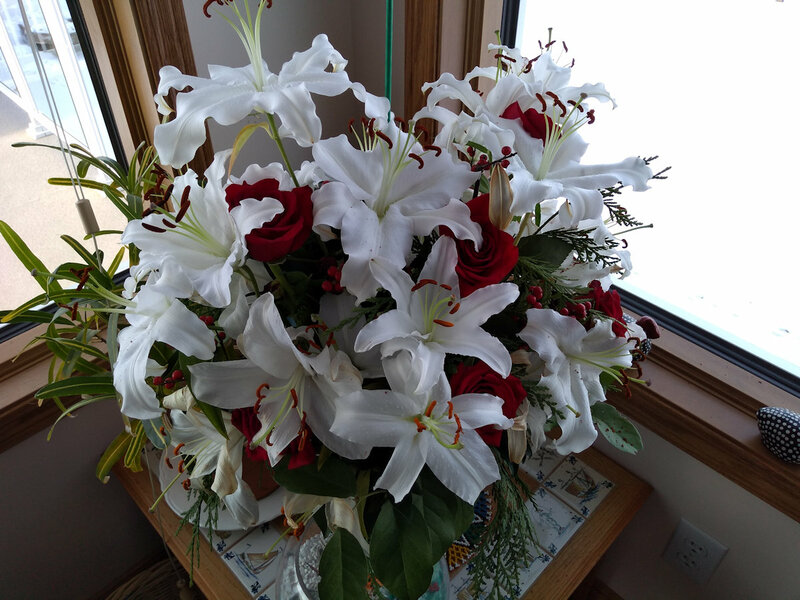 My dad owned a greenhouse and Jeannette loved bringing home flowers. She had a very green thumb and could make even roses last up to 2 weeks! Just five months after we met, we became engaged. In order for us to stay near each other, Jeannette took a week day job as an au pair to look after 3 year old twins while I went to school in The Hague. And on weekends, we stayed with my parents. In 1963, I graduated and started working for Shell International. I really wanted to travel over seas and when I told Jeannette this, I asked if she still wanted to marry me? The answer was yes, and in April 1964, we were married. Officially Holland was still at war with Germany, and while I went into the army for my mandatory 21 months of service; our son Peter was born. 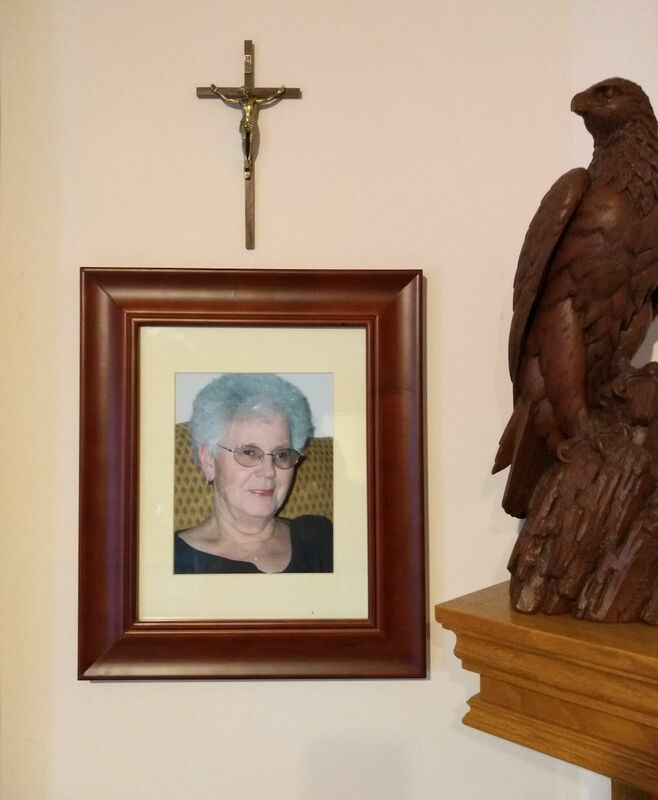 Jeannette loved being a mother and thrived on making sure our home and family was well taken care of. After my army service I returned to work with Shell and we moved from The Hague to Rotterdam. This would be the first of many times Jeannette packed and unpacked our family and belongings. She was a master at it and she loved it! She made each new destination a real home for us. Soon our son Victor-Emmanuel was born, and now our family was complete! Between 1968 and 1989, Jeannette would pack up our family and belongings 6 more times in those 21 years, before we finally settled down in Canada. Shell offered us opportunities to work and live in Nigeria, Houston, South Africa and in between each, several locations in Holland. Nigeria was the first time flying for Jeannette and the boys. Though Jeannette liked the tropical weather, sunbathing and the acquisition of some local dolls, she felt her role as a proud old fashioned Dutch housewife and mother, had been taken away, because we now had a steward who cleaned the house, did the laundry, cooked and served the meals. Even Victor-Emmanuel, who was just 1½, had a nanny. In 1972, Peter developed ear problems. He needed surgery in Holland, so we bought our first new house in Lisse and Jeannette moved there with the boys while I remained in Nigeria as a grass widow, working 4 months there and home with Jeannette and the boys for 1 month. During this 2½ years with me over seas, Jeannette did a fantastic job creating a beautiful home for our family. Coming home for that 1 month was like being on our honeymoon. However, while I was home enjoying my break, Jeannette continued with her daily routine of keeping the house and looking after the boys, so as the end of my month at home approached, she was definitely ready to have me go back to Nigeria. In 1980 we moved to Houston. Jeannette loved our swimming pool and spent a lot of time swimming with the boys and sun bathing. She had a beautiful dark bronze glow, in comparison to my pale office worker complexion! We even purchased some great family western outfits from custom hats to boots. When the kids went to high school, Jeannette became friends with the president of the Nottingham Forrest Ladies Club. Very soon Jeannette was in the lunch group, the dinner group, the needlepoint group, and touring the grand 19th century Southern homes in Louisiana and Mississippi. Of course she also found dolls and kick-knacks everywhere. Jeannette's English improved dramatically and she could take care of herself. Jeannette was always a strong, determined woman, and she loved being part of the communities where we lived. Jeannette also loved entertaining. One evening I made Pina Coladas, and Jeannette and the ladies loved them! After that I was asked to make Pina Coladas almost every evening. After a few months, Jeannette and the ladies started complaining their bikinis were shrinking from the chlorine in the pool. We men winked at each other and eventually I let Jeannette know it was the coconut cream in the Pina Coladas not the chlorine, shrinking their swimsuits. I didn't mind because I thought Jeannette looked gorgeous with that little bit of extra padding. 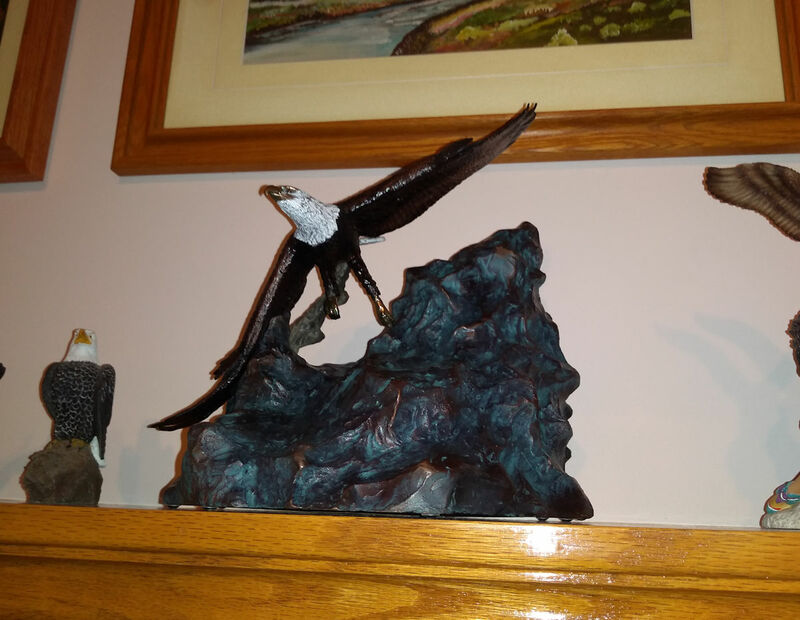 Jeannette enjoyed our family trips to the National Parks and visiting friends. She was a wonderful photographer and took lots of photos which are displayed in over 50 photo albums. Jeannette was not a woman who cried a lot, but she cried when we left Houston. That said a lot about how much she loved her time there. Our eldest son Peter attended university and chose to remain in Lubbock, Texas. Our youngest son Victor-Emmanuel moved with us back to Lisse Holland where he currently resides with his son Jesse. The years flew by and as our 25th anniversary approached, we hosted 3 parties so Jeannette, myself and Victor-Emmanuel could celebrate with all of our family and friends. We had one party Holland with my friends and family, one in Limburg with Jeannette's friends and family and then one in Houston with our son Peter and our friends there. In April 1989, we moved to South Africa, arriving on the morning of our 25th wedding anniversary. Jeannette met the next door neighbours who were avid cross stitching women and soon caught the cross stitching bug. 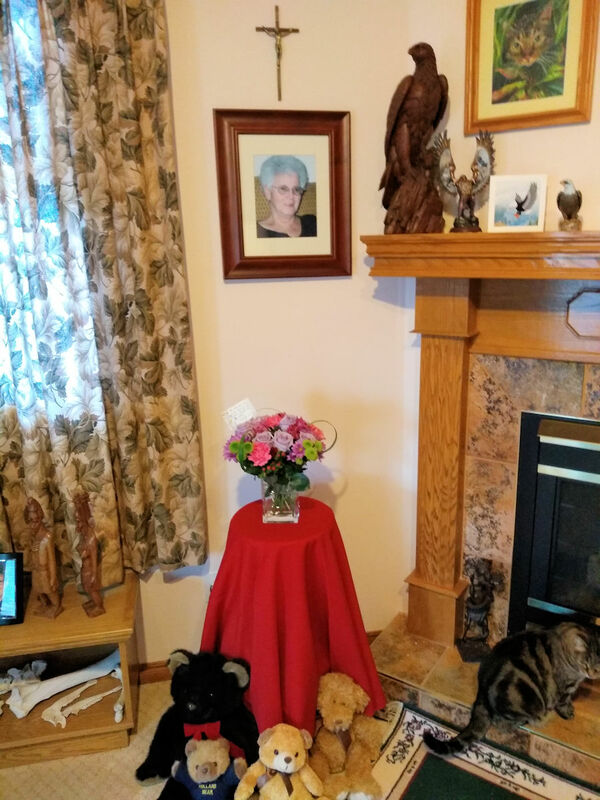 As some of you have noticed, most of Jeannette's cross stitching projects are displayed in prominent places around our home. Jeannette and I loved our time in South Africa enjoying the game reserves, arguments about wines and whiskys, cross stitching and fly fishing. In December 1992, we rented a brand new home in Diamond Cove. It was winter and a thick layer of snow covered Fish Creek Park, but that didn't bother us. Hand in hand we plowed through the snow enjoying many a romantic walk. How wonderful it is that a tree will be planted in Fish Creek Park next September, in living memory of Jeannette. Three years later we became landed immigrants, sold our house in Holland and in August 1996 we moved into our current home in Bearspaw. 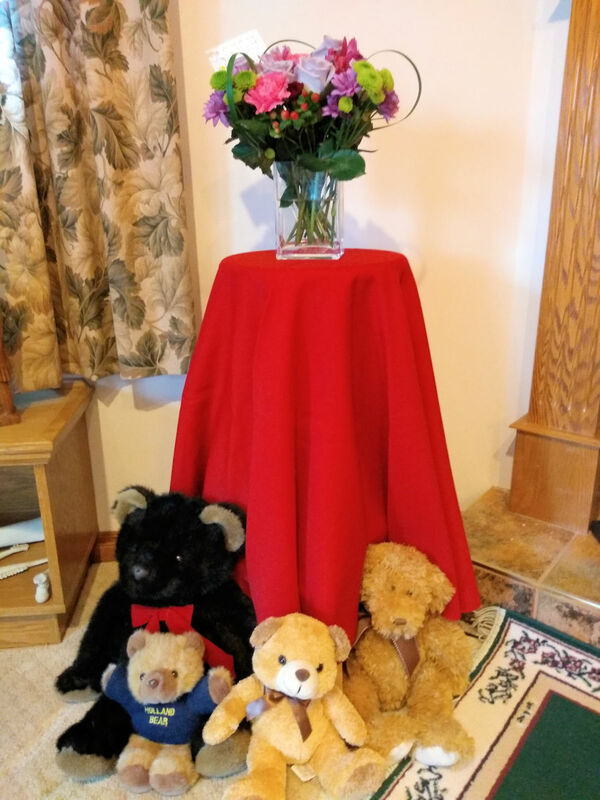 Jeannette loved the name of our new community and thus began her collection of bears. Richard, Jacquie, Megan and Logan became our extended family. 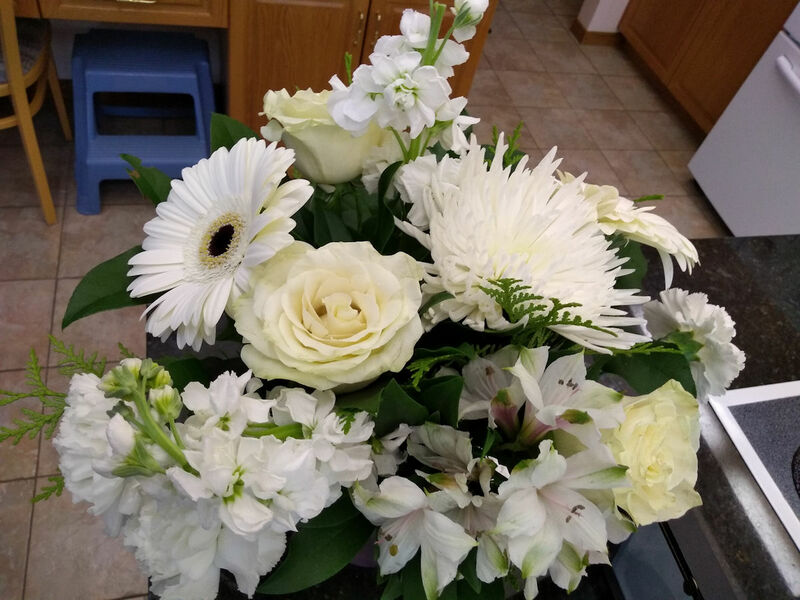 Jeannette and I shared family celebrations, holidays and fun evenings at Stage West. It has been very rewarding watching Megan and Logan grow up. Jeannette looked forward to our "group dates" at Caesar's and Chinese Dim sum. She loved her time with our special friends Hazel and Ken. While Ken and I chatted about our days working for Shell and wood working, Hazel took Jeannette shopping to "spend Piet's money". We started a monthly gourmet dinner club, as we had done in Houston. Jeannette loved to attend these nights and dressing up for the various themes like Halloween mask making, a toga party, murder mystery night, etc. Through our dinner club evenings, we became friends with many of our neighbours and became close friends with Tanya, Kevin and Jordan. 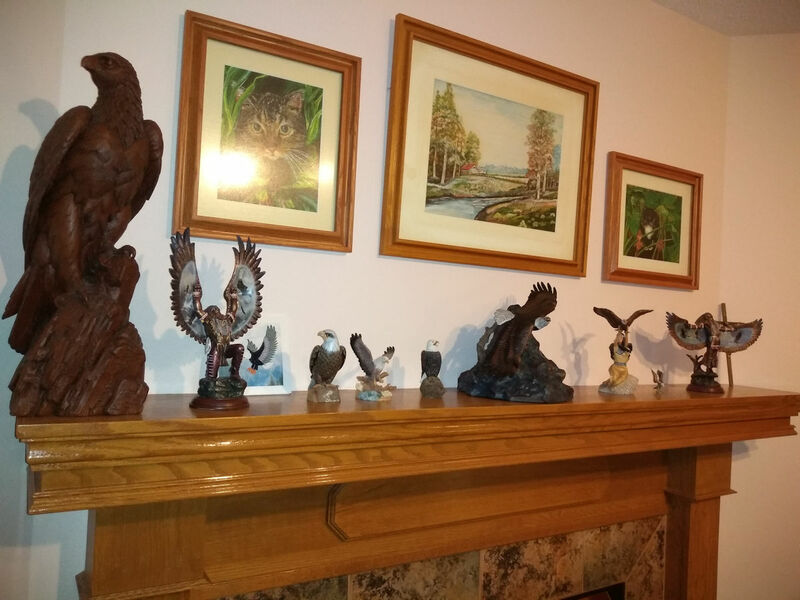 They welcomed us into their home on many special family occasions. 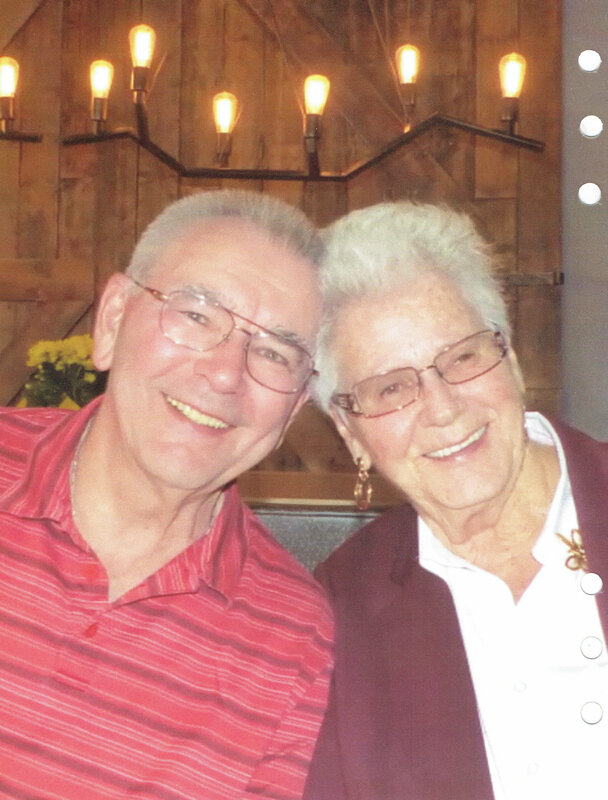 Through them, a wonderful friendship blossomed between us and Tanya's parents; Jean and Norman. Our long time friendship with our dear friend Margaret began when we met she and her husband Ben in the Dutch/Canadian Club. Margaret spent many weekends with us chatting over a glass of Advocaat with home made whipped cream. 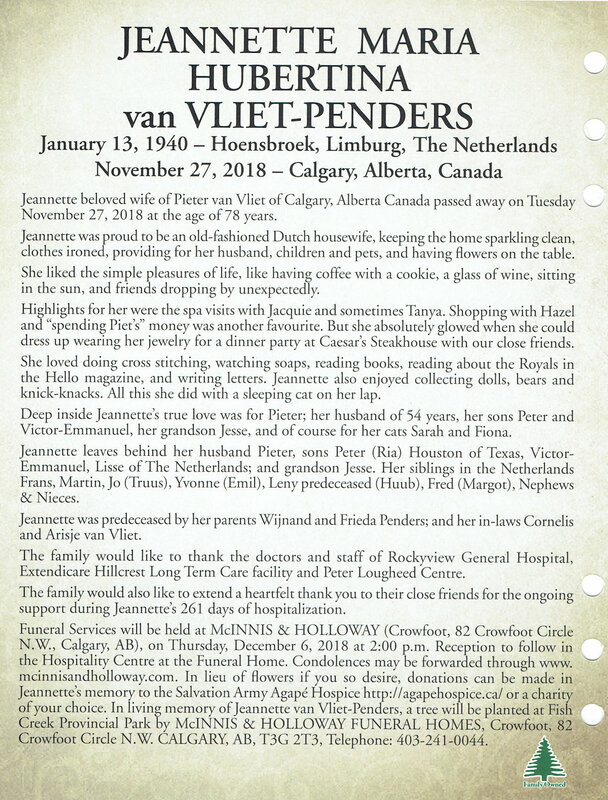 Jeannette looked forward to visits from her brother Jo and his wife Truus. We did a lot of touring with them through Alberta and British Columbia. Jeannette laughed a lot with them and especially enjoyed the support she got from Truus in teasing me. Jeannette and I owned several cats over our lifetime together. We loved each of them like we did our children and Jeannette spoiled them rotten...ok, so did I. 2003 was a busy year. 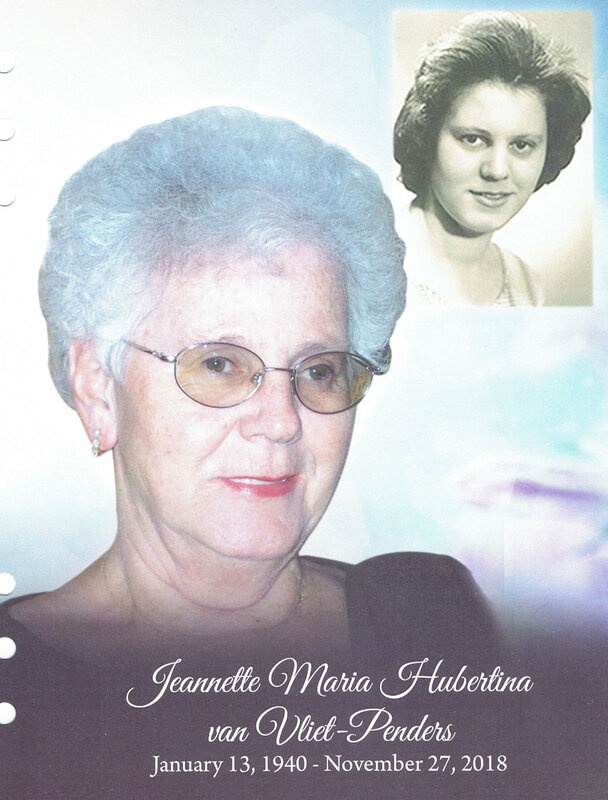 Jeannette had just recovered from her stroke the year before and then my mom passed away, one year after my dad. Many of you may have heard me use the term "Her Majesty" when speaking to Jeannette. My dad used this endearing term when speaking with my mom and when she passed, I borrowed it for Jeannette. On July 24th 2003, our grandson Jesse was born. We treasured watching him grow into the wonderful young man he is today: polite, smart, getting great grades in school. Jeannette was so proud of Jesse, as am I. 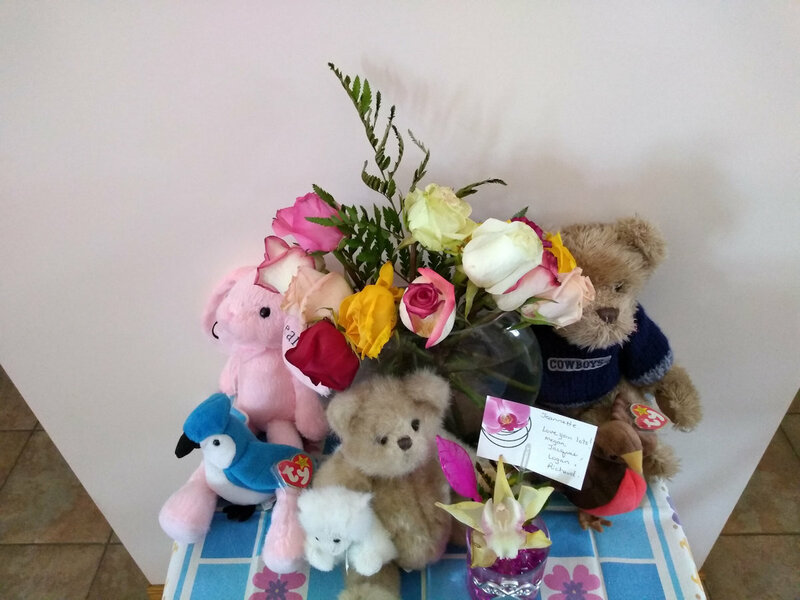 She looked forward to their conversations and hearing about how well he was doing in school and in the things he was doing like playing badminton, swimming, diving and practising his chef skills. 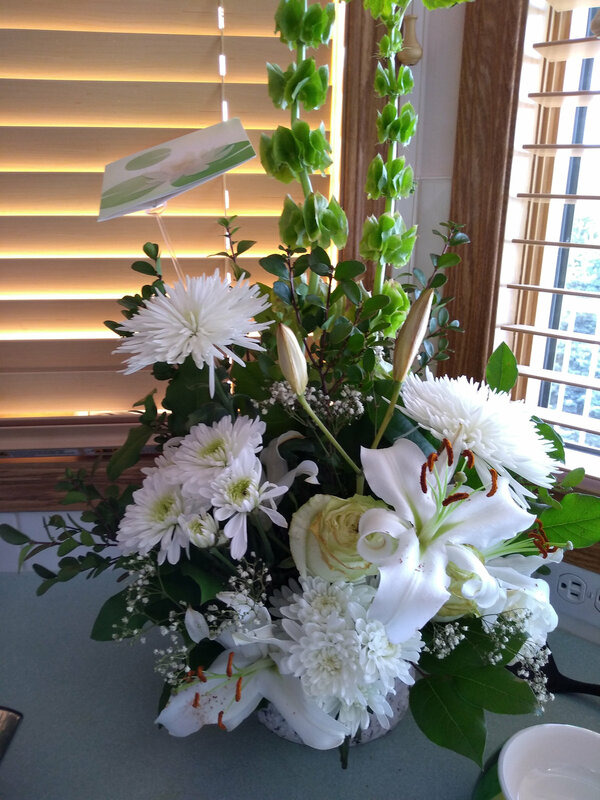 Jeannette loved receiving pictures of Jesse, displaying them proudly and never missing an opportunity to show him off to our friends. I retired from Shell Canada and Jeannette took up reading books. This soon became a favourite past time for her. Not the having me home, but the reading of books! In September 2009, we became Canadian citizens, and vowed we would never leave this great country and the friends we had made here. Jeannette started reading Hello magazine as she loved getting information and up dates about the Royal Family. 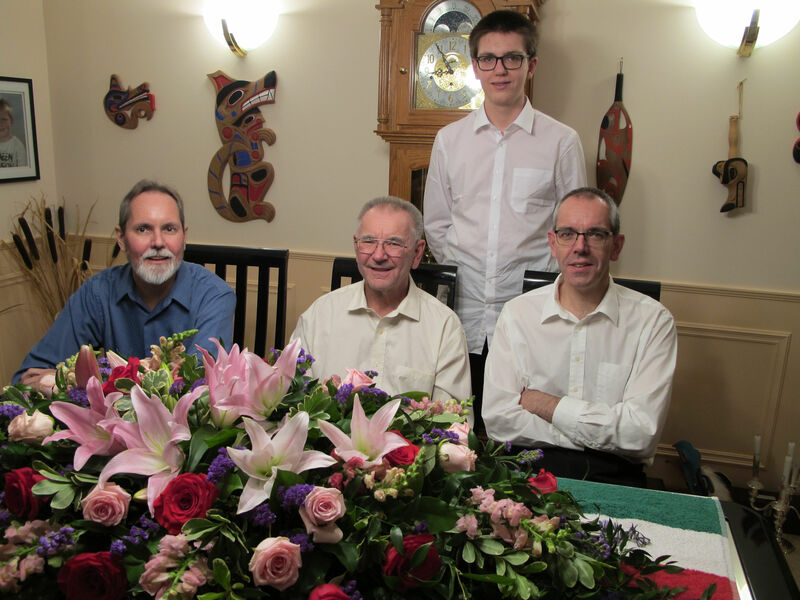 In April 2014, we celebrated our 50th wedding anniversary, enjoying a great party with our sons, grandson and close friends. How lucky I was to have been married to such an amazing partner for 50 years! Jeannette's smile that day was infectious. She was truly happy in reflecting on our amazing journey thus far. This year Jeannette faced the fight of her life. In March 2018, she was hospitalized. She had good days and not so good days but the good days became fewer and fewer, until her lungs stopped working after 261 days, on November 27, 2018, at 11:50 am, with me by her side. I am so grateful to my friends and family, who held my hand, lent me their shoulders, burned candles for Jeannette and prayed with me. For those who fed me and comforted me. Jeannette enjoyed each visit with all of you. 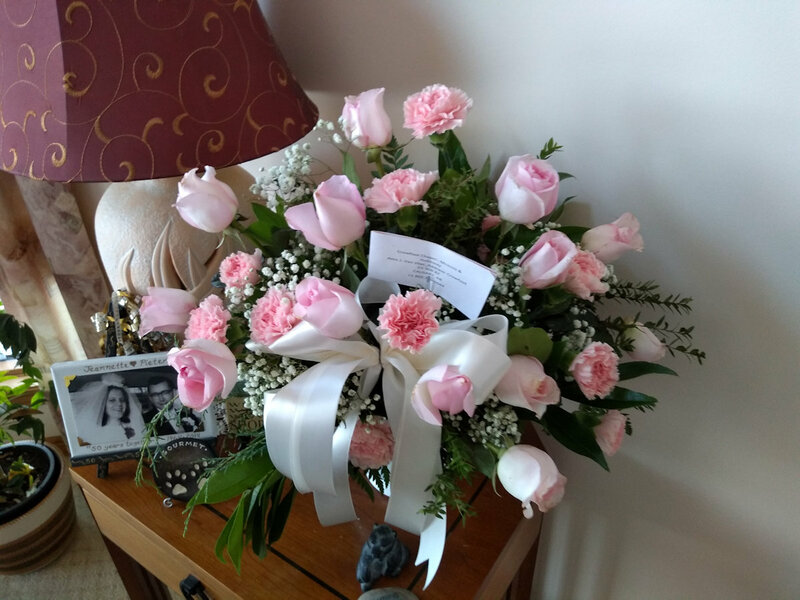 She loved how you made her feel included by bringing celebrations like my 75th birthday and our 54th wedding anniversary to the hospital. 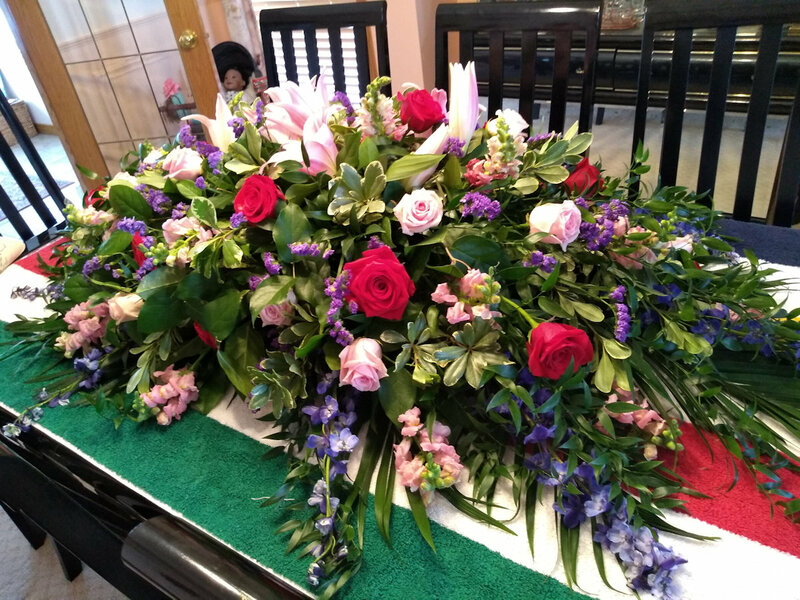 In closing, I want you all to know, not only did Jeannette love you all, but she knew she was loved by all of you as well. 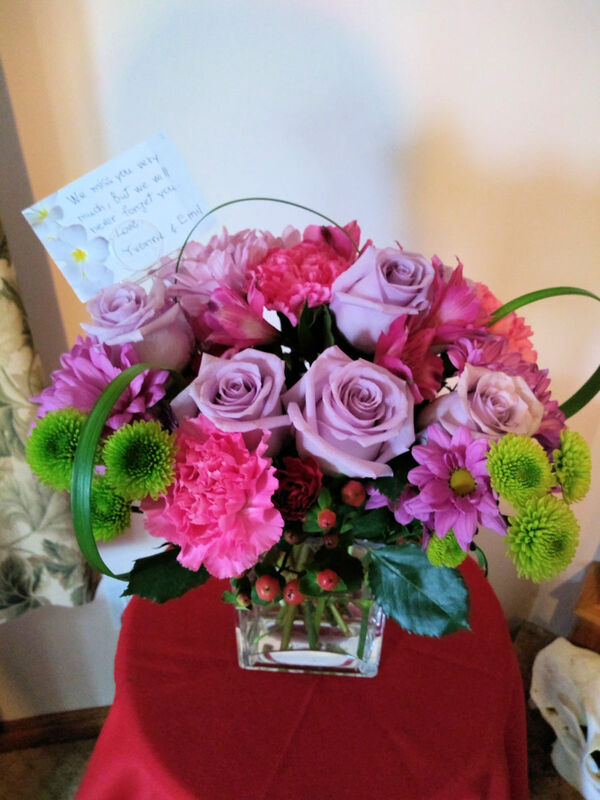 "My darling wife Jeannette, thank you for sharing this journey with me. I will love you forever across the boundaries. Until we meet again, love always, Pieter." Op verzoek van Pieter, presenteer ik dit eerbetoon aan Jeannette. Dit is het verhaal van Pieter om te vertellen, dus zal het in de eerste persoon zijn. In maart 1962, tijdens mijn studie elektrotechniek, werkte ik als stage-student ondergronds in een kolenmijn, in Hoensbroek in de zuidelijke provincie Limburg. Ik wilde carnaval vieren, een feest die vooral in die regio wordt gevierd, dus het echtpaar waar ik verbleef nam me mee naar hun buurthuis. Op die eerste avond van Carnival werd ik voorgesteld aan Jeannette. Een jonge dame die op de rand van het podium zat, en met haar benen bengelde. Ze had prachtige bruine ogen, sprak zachtjes en had een spottende glimlach. Ze was verkleed als Cleopatra met een glimmend gouden gewaad, sieraden, een zwarte page pruik en een cobra om haar hoofd gewikkeld die met zijn kop mij aankeek. Ze nam mijn adem weg. Jeannette wilde dansen, maar ik was groen als gras en wist niet hoe. Ik wilde haar een drankje aanbieden, maar als student had ik amper genoeg geld voor één drankje. Jeannette's oom hoorde over mij, de Hollandse kaaskop uit het noorden, en wilde zeker maken dat zijn nichtje veilig was. Hij sprak met een Limburgs dialect en ik begreep slechts 10% van wat hij zei. Blijkbaar mocht hij me wel, want hij gaf me een hand vol drankbonnen. Ik dronk bier en Jeannette een Spaanse wijn. Ze heeft me een paar eenvoudige danspassen geleerd en we dronken nog wat meer. Praten met haar was zo gemakkelijk en de tijd ging te snel voorbij. Terwijl ze aan het praten was, bewogen haar handen al die tijd, ze sloeg mijn glas om en koud bier lande in mijn kruis! Op de tweede en derde avond van Carnival, was Jeannette verkleed als Indiaanse in een bruine tuniek met kralenwerk, een band om haar hoofd met aan de achterkant een grote veer, en diezelfde zwarte page pruik. Aan het einde van de laatste avond trok ik de stoute schoenen aan en vroeg ik of ik haar weer kon zien, en Jeannette zei ja. Daar begon onze prachtige romance. Op zeker dag besloot Jeannette, die geacht werd al haar verdiensten aan haar moeder te geven, om een nieuw paar mooie schoenen te kopen van het geld. De moeder van Jeannette heeft haar daarvoor het huis uitgezet, dus ging Jeannette bij haar tante en oom wonen, hun huis schoonmaken en koken in ruil voor kost en inwoning. Bij mijn volgende bezoek aan Jeannette opende ze de deur en kon ik mijn opwinding nauwelijks bedwingen. Voor mij stond een prachtig meisje, geen pruik, maar een nieuwe permanent. Jeannette nam me mee naar haar kamer waar we praatten en ik leerde veel over dit geweldige meisje. Toen ze jong was, speelde Jeannette met een lappenpop gemaakt van overgebleven afknipsels, terwijl haar vriendinnen allemaal echte poppen hadden om mee te spelen. Daar kwam haar verlangen van om later in het leven poppen te verzamelen. Jeannette ging naar de lagere school en daarna naar een huishoud school. In die tijd lieten ze gewone meisjes niet studeren. Ze liet me ook trots haar zwemdiploma zien. Op dat moment besefte ik dat ik op mijn 18e verkering had met een meisje dat 3 jaar en 3 maanden ouder was dan ik. Pasen kwam en Jeannette had haar eerste treinreis alleen, zo'n 200 km naar het noorden van Holland om mijn ouders te ontmoeten. Ik zag Jeannette aan het einde van het perron, maar ze reageerde niet toen ik naar haar zwaaide. Ik ontdekte dat ze blind was in haar linkeroog. Jeannette had ook haar twee voortanden verloren, terwijl ze een heuvel af kwam met de fiets van haar broer en viel. Zelfs met een blind oog en een gedeeltelijke prothese was ze prachtig! Jeannette's moeder en vader zorgden goed voor hun zeven kinderen omdat haar vader een goede baan had als een meester-houwer bij de mijn. Maar hun kinderen knuffelen en kussen was echter niet hun stijl. Toen ik Jeannette voorstelde aan mijn moeder en vader, kreeg ze knuffels en kusjes van mijn ouders alsof ze haar al jaren konden. Voor mij was dat normaal, maar de uitdrukking op Jeannette's gezicht was onbetaalbaar. Vanaf dat moment, hield Jeannette van mijn ouders, en het gevoel was wederzijds. 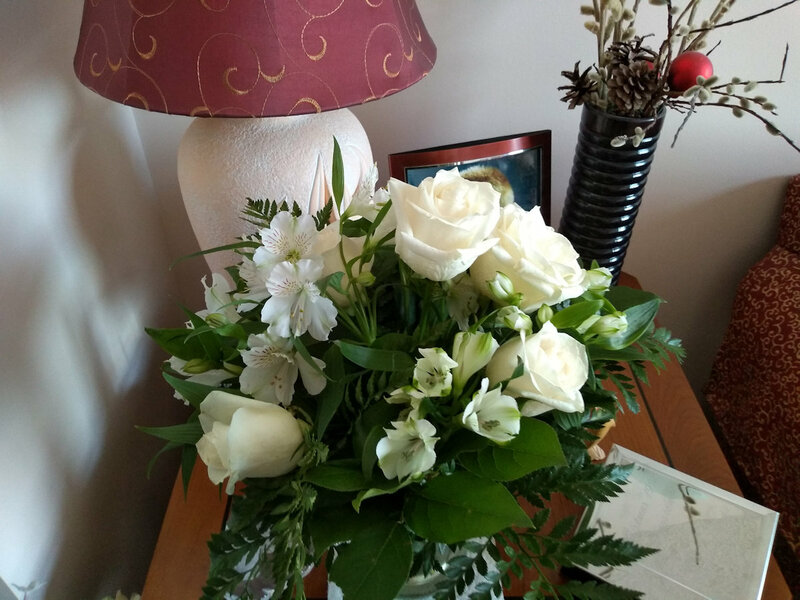 Mijn vader had een bloemenkwekerij en Jeannette vond het schitterend om bloemen mee naar huis te krijgen. Ze had een zeer groene duim en kon bloemen 2 tot 3 weken goed houden. Vijf maanden na onze eerste ontmoeting zijn we verloofd. Om dichter bij elkaar te zijn nam Jeannette een baantje als au pair om 3-jarige tweeling te verzorgen terwijl ik naar school ging in Den Haag. En in het weekend waren we bij mijn ouders. In 1963 studeerde ik af en ging werken voor Shell International. Ik wilde echter naar het buitenland en toen ik dit aan Jeannette vertelde, vroeg ik of ze nog steeds met me wilde trouwen? Het antwoord was ja en in april 1964 waren we getrouwd. Officieel was Nederland nog steeds in oorlog met Duitsland, en terwijl ik mijn verplichte 21 maanden in het leger was onze zoon Peter geboren. Jeannette hield er van om een echte moeder te zijn en er voor te zorgen dat ons huis en gezin goed werd verzorgd. Na mijn legertijd keerde ik terug bij Shell en verhuisden we van Den Haag naar Rotterdam. Dit zou de eerste keer zijn dat Jeannette onze familie en bezittingen inpakte en uitgepakte. Ze was er een meester in en vond het geweldig! Ze maakte van iedere nieuwe bestemming een echt thuis voor ons. Al snel werd onze zoon Victor-Emmanuel geboren en nu was ons gezin compleet! 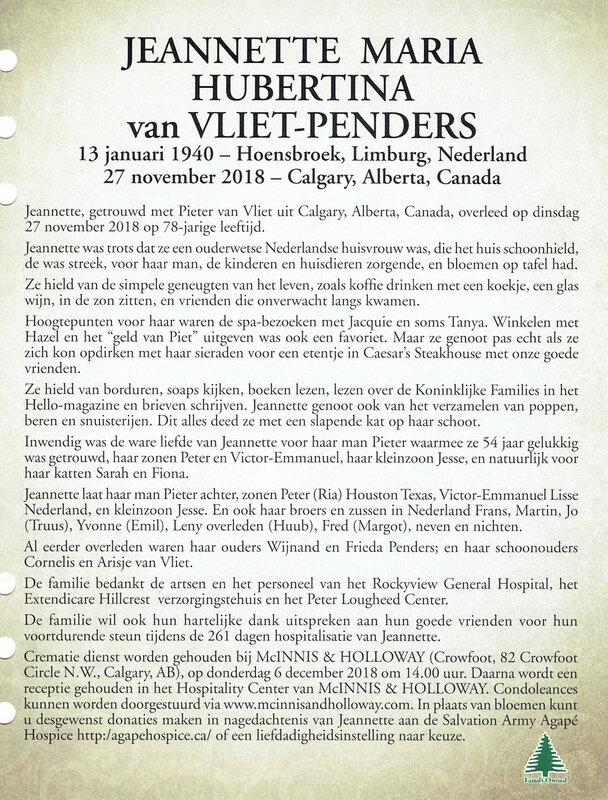 Tussen 1968 en 1989 zou Jeannette onze familie en spullen nogeens 6 keer inpakken in die 21 jaar, voordat we ons uiteindelijk vestigden in Canada. Shell bood ons kansen om te werken en te wonen in Nigeria, Houston, Zuid-Afrika en daar tussen door in de verschillende locaties in Nederland. Jeannette en de jongens vlogen voor eerst alleen naar Nigeria. Hoewel Jeannette van het tropische weer, zonnebaden en de aankoop van enkele plaatselijke poppen hield, voelde ze dat haar rol als een trotse ouderwetse Nederlandse huisvrouw en moeder, was weggenomen, omdat we nu een steward hadden die het huis schoon maakte, de was deed, kookte en de maaltijden serveerde. Zelfs Victor-Emmanuel, die net 1½ was, had een nanny. In 1972 ontwikkelde Peter oorproblemen. Hij had een operatie in Nederland nodig. We kochten onze eerste nieuwe huis in Lisse en Jeannette en de jongens verhuisde naar daar terwijl ik in Nigeria bleef als een grasweduwe, dat wil zeggen 4 maanden werken en voor 1 maand thuis met Jeannette en de jongens. Tijdens deze 2½ jaar heeft Jeannette fantastisch werk verricht door ons huis prachtig in te richten. Thuiskomen voor die ene maand was alsof je op huwelijksreis bent. Terwijl ik thuis van mijn vakantie genoot, ging Jeannette door met haar dagelijkse routine van het huishouden en het verzorgen van de jongens, zodat aan het einde van mijn maand thuis ze blij was dat ik weer ophoepelde naar Nigeria. In 1980 zijn we verhuisd naar Houston. Jeannette hield van ons zwembad en bracht veel tijd door met zwemmen met de jongens en zonnebaden. Ze had een mooie donkere bronzen gloed in vergelijking met mijn bleke kantoorwerker-kleur! We hadden zelfs geweldige cowboy-outfits gekocht, van aangepaste hoeden tot laarzen. Toen de kinderen naar de middelbare school gingen, raakte Jeannette bevriend met de president van de Nottingham Forrest Ladies Club. Al snel was Jeannette lid van de lunchgroep, de dinergroep, de borduurgroep en toerde zij door de grootse 19e-eeuwse zuidelijke huizen in Louisiana en Mississippi. Natuurlijk vond ze ook overal poppen en souveniers. Jeannette's Engels verbeterde dramatisch en ze kon voor zichzelf zorgen. Jeannette was altijd een sterke, vastberaden vrouw en ze vond het heerlijk om deel uit te maken van de gemeenschappen waarin we woonden. Jeannette hield ook van vermaak. Op een avond maakte ik Pina Coladas en Jeannette en de dames hielden daarvan! Daarna werd ik gevraagd om bijna elke avond Pina Coladas te maken. Na een paar maanden begonnen Jeannette en de dames te klagen dat hun bikini's krompen van het chloor in het zwembad. Wij mannen knipoogden naar elkaar en uiteindelijk liet ik Jeannette weten dat het de kokoscrème in de Pina Coladas was en niet het chloor, waardoor hun zwemkleding te klein werd. Ik vond het niet erg want ik vond dat Jeannette er prachtig uitzag met dat beetje extra vulling. Jeannette heeft genoten van onze familie-uitstapjes naar de nationale parken en het bezoeken van vrienden. 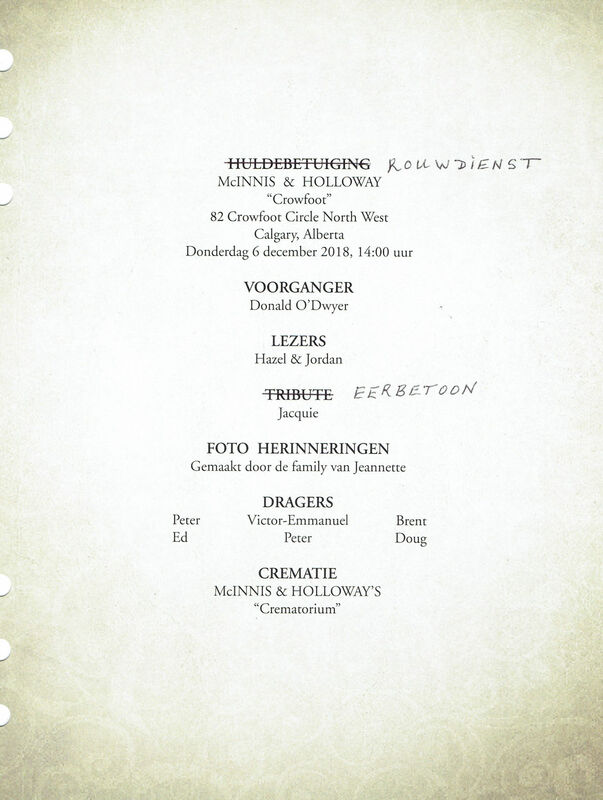 Ze was een geweldige fotograaf en maakte veel foto's die in meer dan 50 fotoalbums zitten. Jeannette was geen vrouw die veel huilde, maar ze huilde toen we Houston verlieten. Daaraan is duidelijk te zien hoeveel ze van haar tijd daar hield. Onze oudste zoon Peter ging naar de universiteit en koos ervoor om in Lubbock, Texas te blijven. Onze jongste zoon Victor-Emmanuel verhuisde met ons terug naar Lisse Holland, waar hij momenteel verblijft met zijn zoon Jesse. De jaren vlogen voorbij en toen ons 25-jarig jubileum naderde, organiseerden we 3 feesten zodat Jeannette, ikzelf en Victor-Emmanuel het konden vieren met al onze familie en vrienden. We hadden een feestje in Lisse met mijn vrienden en familie daar, een in Limburg met vrienden en familie van Jeannette en een in Houston met onze zoon Peter en onze vrienden daar. In april 1989 verhuisden we naar Zuid-Afrika, waar we aankwamen op de ochtend van ons 25-jarig huwelijksfeest. Jeannette ontmoette de buren waar de dames veel borduurden en al snel was Jeannette dat ook aan het doen. Zoals sommigen van jullie hebben gemerkt, worden de meeste borduur projecten van Jeannette op prominente plekken in ons huis getoond. Jeannette en ik genoten van onze tijd in Zuid-Afrika en genoten van de wildparken, discussies over wijn en whisky's, borduren en forel vissen. In december 1992 huurden we een gloednieuw huis in Diamond Cove. Het was winter en een dikke laag met sneeuw bedekte Fish Creek Park, maar dat stoorde ons niet. Hand in hand ploegden we door de sneeuw en genoten we van menig romantische wandeling. Het is fantastisch dat er in september volgend jaar een boom wordt geplant in Fish Creek Park, ter nagedachtenis aan Jeannette. Drie jaar later werden we immigranten, we verkochten ons huis in Nederland en in augustus 1996 gingen we verhuizen naar ons huidige nieuwe huis in Bearspaw. Jeannette hield van de naam van onze nieuwe gemeenschap en begon dus met het verzamelen van beren. Richard, Jacquie, Megan en Logan zijn onze uitgebreide familie geworden. Jeannette en ik deelden familiefeesten, vakanties en leuke avonden in Stage West. Het was een plezier om Megan en Logan te zien opgroeien. Jeannette keek uit naar onze groep uitjes aar Caesar's Steak House en Chinees Dim Sum. Ze hield van haar tijd met onze speciale vrienden Hazel en Ken. Terwijl Ken en ik praatten over onze dagen bij Shell en houtbewerking, nam Hazel Jeannette mee om te winkelen om 'het geld van Piet uit te geven'. We begonnen een maandelijkse gastronomische dinerclub, zoals we in Houston hadden gedaan. Jeannette was dol op deze avonden en verkleedde zich voor de verschillende thema's, zoals Halloween-masker maken, een togaparty, moordmysterie-avond, enz. Tijdens onze dinerclubavonden werden we vrienden met veel van onze buren en werden we goede vrienden met Tanya, Kevin en Jordan. Zij verwelkomden ons bij hun thuis op veel speciale familiefeesten. Via hun bloeide een prachtige vriendschap tussen ons en de ouders van Tanya; Jean en Norman. Onze langdurige vriendschap met onze goede vriendin Margaret begon toen we haar en haar man Ben ontmoetten in de Nederlands/Canadese Club. Margaret bracht veel weekenden door met ons terwijl we kletsten over een glas Advocaat met zelfgemaakte slagroom. Jeannette keek uit naar bezoeken van haar broer Jo en zijn vrouw Truus. We hebben veel met hen gereisd door Alberta en British Columbia. Jeannette heeft veel gelachen met hen en vooral genoten van de steun die ze kreeg van Truus om mij the plagen. Jeannette en ik hebben veel katten gehad geduurde onze tijd samen. We hielden van hun allemaal als van onze kinderen en Jeannette verwende hun ... oké, ik ook. 2003 was een druk jaar. Jeannette was net hersteld van haar beroerte het jaar ervoor en toen stierf mijn moeder, een jaar na mijn vader. Velen van jullie hebben misschien gehoord dat ik de term "Hare Majesteit" heb gebruikt als ik tegen Jeannette sprak. Mijn vader gebruikte deze vertederende term als hij met mijn moeder bezig was en na haar overlijden gebruikte ik het voor Jeannette. Op 24 juli 2003 werd onze kleinzoon Jesse geboren. We genoten om hem te zien uitgroeien tot de geweldige jongeman die hij vandaag is: beleefd, slim, goede cijfers behalend op school. Jeannette was zo trots op Jesse, net als ik. Ze keek uit naar hun gesprekken en hoorde hoe goed hij op school presteerde en wat hij aan het doen was zoals badminton spelen, zwemmen, duiken en zijn vaardigheden als kok oefenen. Jeannette vond het leuk om foto's van Jesse te ontvangen, ze trots te laten zien en nooit een kans te missen om hem aan onze vrienden te tonen. Ik ging met pensioen bij Shell Canada en Jeannette ging lezen. Dit werd al snel haar favoriete verdrijf. Niet om mij thuis te hebben, maar om boeken te lezen! In september 2009 zijn we Canadese burgers geworden en hebben gezworen dat we dit geweldige land en de vrienden die we hier hadden gemaakt nooit zouden verlaten. Jeannette begon met het lezen van het Hello-magazine, omdat ze er van hield om informatie over het koningshuis te krijgen. In april 2014 vierden we ons 50-jarig huwelijksfeest en genoten we van een geweldig feest met onze zoons, kleinzoon en goede vrienden. Wat een geluk dat ik voor 50 jaar met zo'n geweldige partner was getrouwd! De glimlach van Jeannette die dag was aanstekelijk. Ze was echt blij met het nadenken over onze geweldige reis tot nu toe. 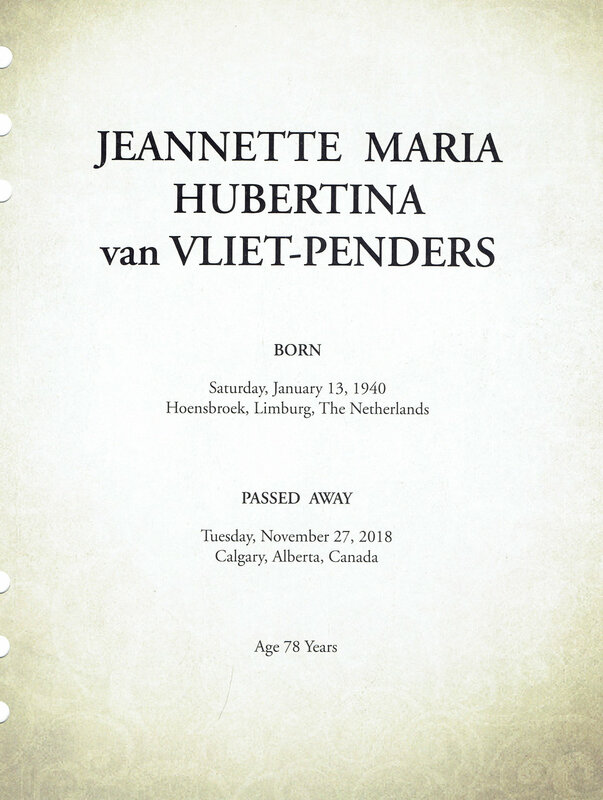 Dit jaar stond Jeannette voor het gevecht van haar leven. In maart 2018 werd ze opgenomen in het ziekenhuis. 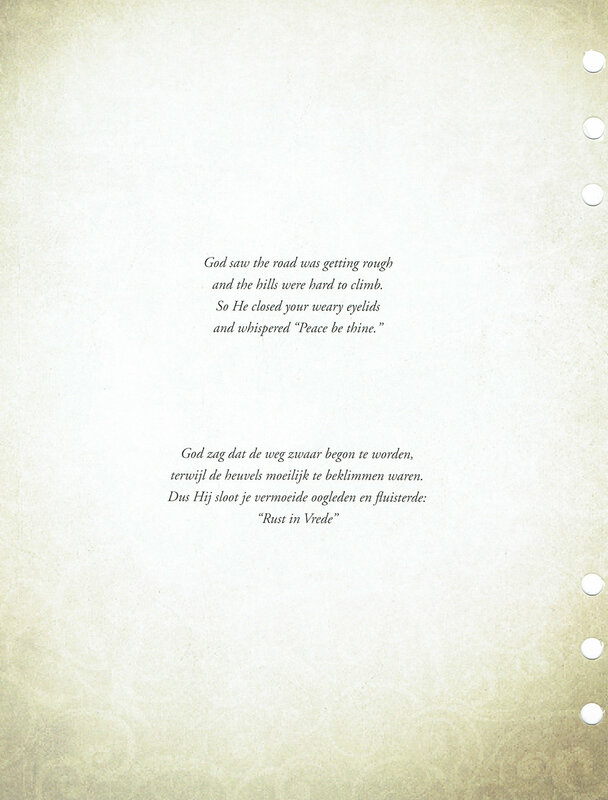 Ze had goede dagen en niet zo goede dagen, maar de goede dagen werden steeds minder, totdat haar longen het na 261 dagen opgaven, op 27 november 2018, om 11:50 uur, met mij aan haar zijde. Ik ben mijn vrienden en familie zeer dankbaar dat ze mijn hand vasthielden, mij hun schouders leenden, kaarsen voor Jeannette hebben gebrand en met mij hebben gebeden. Voor degenen die me hebben gevoed en getroost. Jeannette genoot van elk bezoek van jullie allemaal. Ze hield ervan hoe je haar het gevoel gaf erbij te horen door vieringen zoals mijn 75e verjaardag en ons 54-jarig huwelijksfeest naar het ziekenhuis te brengen. Tot slot wil ik jullie allemaal laten weten, dat Jeannette niet alleen van jullie allemaal hield, maar dat ze wist dat jullie van haar hielden. "Mijn lieve vrouw Jeannette, bedankt voor het delen van deze reis met mij, ik zal altijd van je blijven houden over de grenzen heen. Tot we elkaar weer ontmoeten, met eeuwige liefde, Pieter. "